Australia & Newzealand Tour Package with 10 Days Accommodation & City Tour. National parks ring the city and penetrate right into its heart.Large chunks of the harbor are still edged with bush, while parks cut their way through the skyscrapers and suburbs. 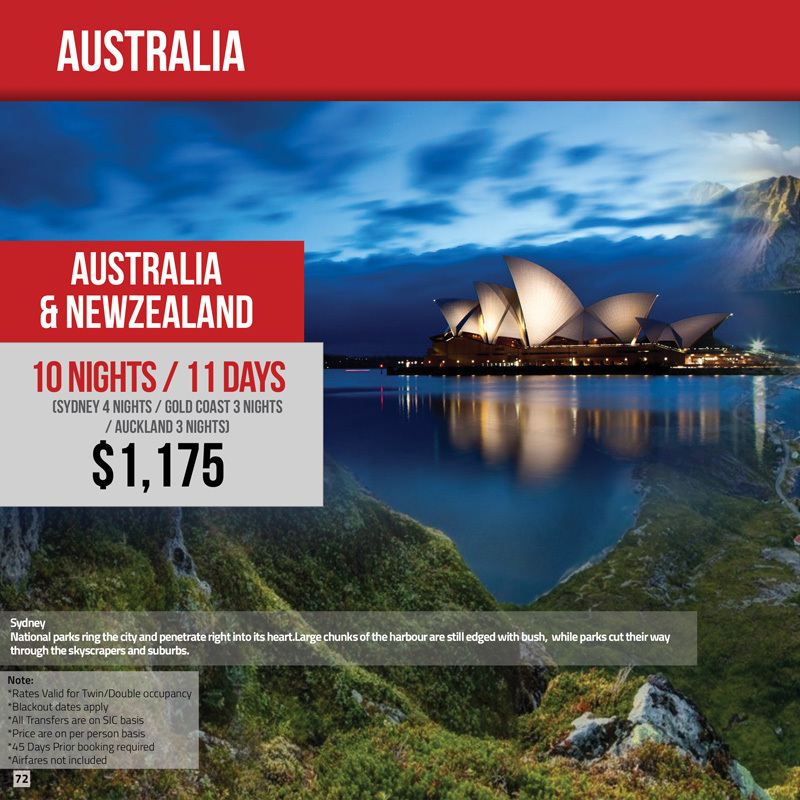 Australia Tour Packages, New Zealand Tour Packages, Packages Valid. permalink.